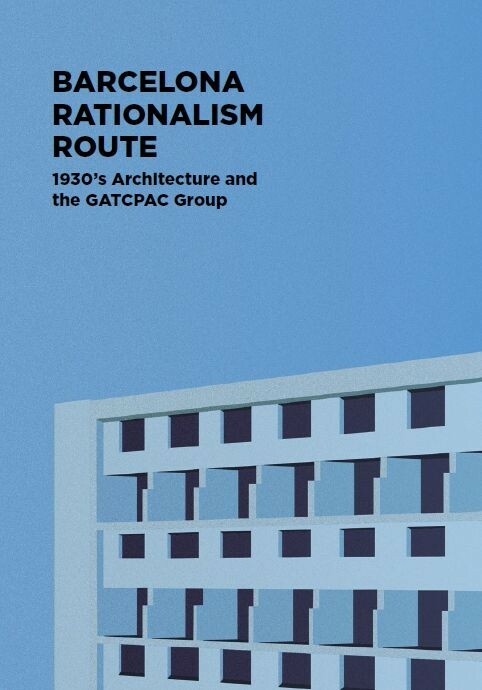 This is the most comprehensive guide for discovering the legacy of Rationalist architecture in Barcelona. 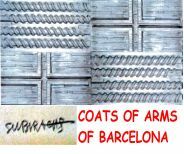 Focused on the pioneers of this style in Catalonia that came together in the legendary GATCPAC group, it also incorporates the works of other avant-garde architects of the late 1920’s and 30’s. This was a period of feverish creativity which showcased the political commitment of architects involved in socially progressive projects. A movement that was cut short and disbanded by the fascist Franco regime at the end of the Spanish Civil War. The Barcelona Rationalism Route features 68 sites, from family homes and apartment blocks to office buildings, including the very first ‘skyscrapers’ of the city. It invites you to discover the most emblematic works of the period, as well as revolutionary projects for public health, education and housing. With maps and practical information for each building, the Route is organised in nine walks designed for a pleasant and intriguing journey of discovery around the streets of Barcelona. The purchaser, at the moment of validating and confirming an order process, undertakes to accept the conditions of use of the Urban Landscape Institute’s online shop. Purchases made at this bookshop are subject to applicable Spanish legislation. The prices of products and services at the Urban Landscape Institute’s online shop include VAT. The products and services included in the online shop are available, barring error, while stock lasts or until the maximum service limit. In such cases where stock of any requested item is exhausted, or the demand or service limit is surpassed and, for any reason the online sale has been processed, the Urban Landscape Institute will contact the purchaser and, if necessary, refund the corresponding amount. Products will be delivered by mail and accompanied by the corresponding invoice, with the IVA (VAT) broken down (currently it is 4% for books and 21% for all other products). When you contract a service using the Urban Landscape Institute’s online shop, you will receive written confirmation of the contract and/or registration, with a description of the aforesaid contract or registration. Costs vary according to the destination and weight of the delivery. Rates will be shown before you finalise your purchase. The Urban Landscape Institute’s online shop will not be responsible for special taxes, customs duties or other costs that may be liable at the delivery destination. Using cards that belong to payment method systems or card brands linked to “Comercia Global Payments”, directly or through “la Caixa” via an online sales point (Cyberpac). Returns can be made up to 30 after the purchaser has received the product in their home. The costs of returning a product will be at the purchaser’s expense. The amount corresponding to initial delivery costs will not be returned. Once the Urban Landscape Institute has ensured that the product is in perfect condition, the corresponding amount will be deposited in the account the purchaser indicates. In the event of an error by the Urban Landscape Institute in the product sent, or if it is defective, the purchaser may notify the Urban Landscape Institute within 30 days. In this case, the return costs and the new product delivery, if the purchaser so wishes, will be at the expense of the Urban Landscape Institute. In the event that the purchaser decides to cancel the order, payment of the amount of the purchase plus the delivery costs will be made into the account the purchaser indicates. In the event of contracting a service or registering for an activity, once the service or activity is complete, the amount paid will only be returned in the event of the non-realisation of the service or activity. All other circumstances shall be bound by current legislation. Correspondence on returns must be addressed to the email address cultura-impuqv@bcn.cat, indicating the order number, the circumstances of the return and the account where, if necessary, the Urban Landscape Institute must make payment. In the event that you register as a purchaser at our online shop, all the personal information that you provide, except the data relating to your credit card, will be incorporated into a database owned by the Urban Landscape Institute for the purpose of processing orders and sending you information in the future on products and services similar to the ones you initially purchased. Your personal data will also be used to send you our newsletter with news and information on our products and services. For this purpose they are registered in a computerised file. At any time, in accordance with Spanish Organic Law 15/1999, of 13 December 1999, on personal data protection, and Royal Spanish Decree 1720/2007, of 21 December 2007, on the implementation of this Law, you can access your personal account to cancel your subscription or modify your data through our website or by sending us an email. Our website resends the purchaser to a Cyberpac secure website, where the purchaser’s credit card data will be requested and the purchase processed.